What is the volume of a sphere with a radius of ? To solve for the volume of a sphere, you must first know the equation for the volume of a sphere. In this equation, is equal to the radius. We can plug the given radius from the question into the equation for . Now we simply solve for . The volume of the sphere is . To solve for the volume of a sphere you must first know the equation for the volume of a sphere. Multiply the answer by and to yield . For a sphere the volume is given by V = (4/3)πr3 and the surface area is given by A = 4πr2. If the sphere has a surface area of 256π, what is the volume? Given the surface area, we can solve for the radius and then solve for the volume. A typical baseball is in diameter. Find the baseball's volume in cubic centimeters. We were given the baseball's diameter, , which must be converted to its radius. Now we can solve for volume. If you arrived at then you did not convert the diameter to a radius. What is the volume of a sphere whose radius is . We were given the radius of the sphere, .Therefore, we can solve for volume. If you calculated the volume to be then you multiplied by rather than by . To the nearest tenth of a cubic centimeter, give the volume of a sphere with surface area 1,000 square centimeters. 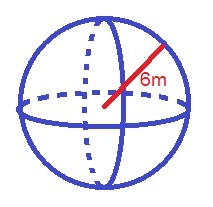 Find the volume of the following sphere. where is the radius of the sphere. What is the volume of a sphere with a diameter of ? The formula for volume of a sphere is . 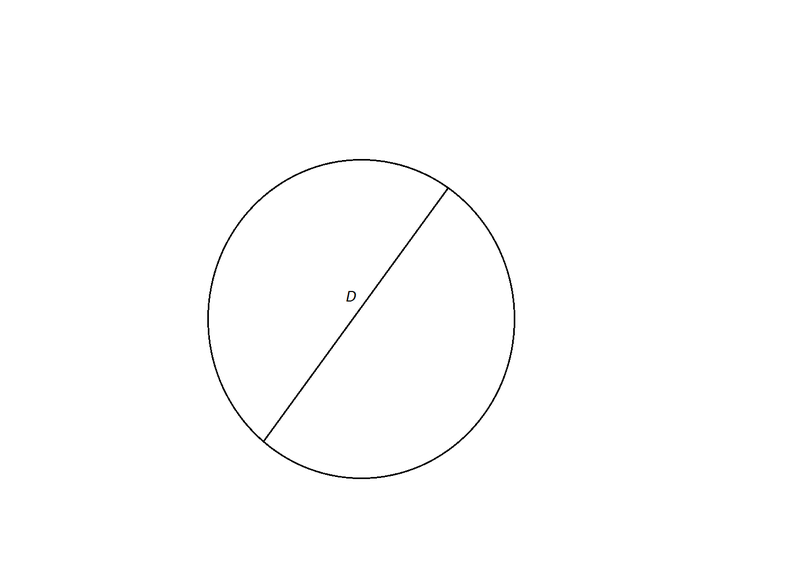 The problem gives us the diameter, however, and not the radius. Since the diameter is twice the radius, or , we can find the radius. Now plug that into our initial equation.